After a full power down, pulled the expansion micro SD, re-started tablet - WiFi now works!?!? Welcome to the site. Hope the WiFi stays fixed! I bought my wife a galaxy note 10.1, her first introduction to computing. so far, not a happy experience. We have this same wifi problem [our third pad problem]; factory reset has not worked. We cannot connect to wifi at all - without wifi the pad becomes an expensive camera. 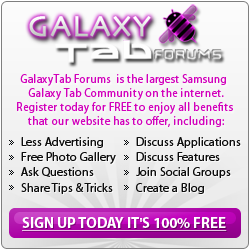 I have not seen any comment or fix from Samsung despite numerous posts in various forums - too expensive to own up Samsung? I have had the same problem as the one described in this thread. I tried everything mentioned in this thread and other related threads, short of doing a factory reset (I chose not to do this as many people were saying it did not good). In the end, I had to assume that the wireless hardware had died. Frustrated and sick of dealing with it, I tossed the "fancy coaster" in a corner and vowed never to touch it again. So it sat there, turned off for literally months (probably 6 months, if I were to guess). Yesterday my daughter picked it up, and turned it on. To my astonishment, the wifi turned on and connected just fine. It worked great for the rest of the day and into this morning. In the afternoon we left the house and went to my parent's house. We took it with us, but did not try to use the internet since I never bothered to put my father's wifi info into the tablet. Upon returning home, it is now doing the exact same thing as before - wifi attempts to turn on, and after a few seconds shuts off. Nothing I do makes it turn on. I've reset the modem, the router, etc. We are back to where we were months ago. So, I am wondering if any of the above could be a clue to the problem. Any thoughts from those much better at this than me? Thanks! Read all these messages and I'm grateful that I didn't reset. Turn off the device - remove any sim card / memory card - restart - HOPEFULLY - control of wifi will return. I didn't bother with the sim card - the unit will only be used at home. Mine Tab S 8.4 is now doing this too. WiFi turns on, connects for maybe 5 seconds tops to my local WIFI and then turns off and it is doing it non stop. It grabs an IP each time and shows up on my connected devices in my router page but just will not stay connected. Tried a mobile hot spot from my Note 4, no difference. I gave up on Samsung once after they screwed me over on a warranty repair for my Note 2 and this is making me be done with them permanently now. Obviously it is a hardware issue but they refuse to correct it and it should be corrected regardless of out of warranty or not as it shows the WIFI module in these is a ticking time bomb. There is a good sized thread on XDA with this same issue as well. My tablet is mint too and now essentially useless. Last edited by Zoidbort; 12-30-2015 at 09:00 PM. I've done as you said but the problem was still attempting ..
so i restarted the tab for one more time and it Worked ! I can't understand what's the relationship between SIM card and wi-fi issue!